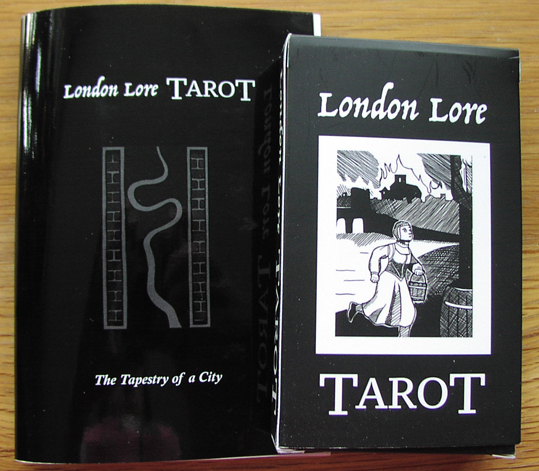 For a long time I have wanted there to be a Tarot of London, but until recently such decks only existed in the imagination. Geraldine Beskin gives a talk called A Tarot Tour of London, relating London landmarks to tarot symbolism, for example, and there's a fictional Tarot of London in the urban fantasy novel London Falling by Paul Cornell. 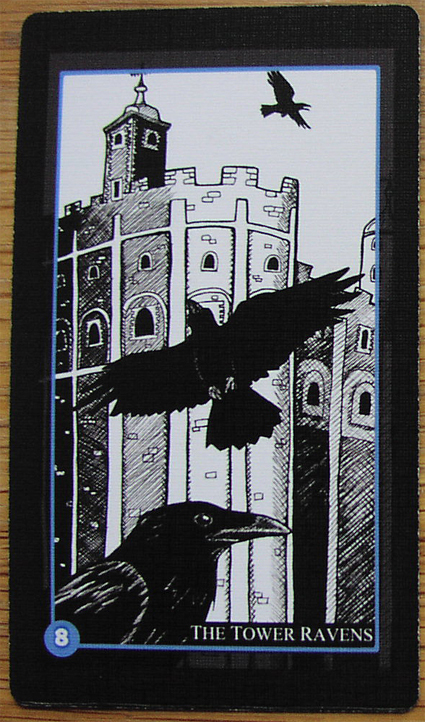 Sure, tarot sets have included London's iconic buildings on some cards, particularly the Sherlock Holme's Tarot, but no deck was specifically a London tarot. Until now that is. Earlier this week I learnt that a deck had just been launched called the London Lore Tarot. I was so excited I immediately ordered a copy and I've been using it a lot since it arrived. It was designed as a labour of love by Johnny McQuillan, who was inspired partly by the book The Secret Lore of London, co-edited by Caroline Wise and John Matthews. He published his deck independently and copies, as far as I know, can so far only be obtained via Johnny's website and Treadwell's bookshop. 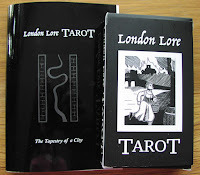 But does it live up to my expectations of what the Tarot of London should be? Well, yes, it does. 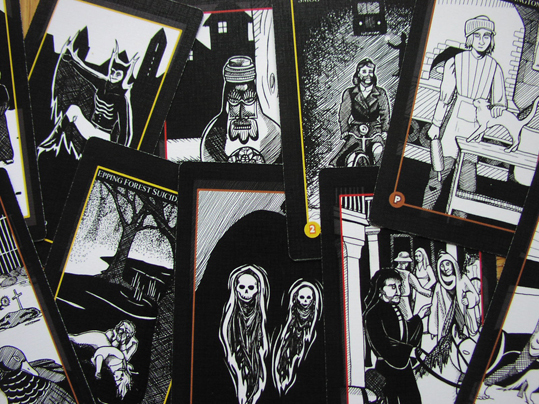 But I would have to say it is probably not a deck for a beginner or for anyone who is wary of scary cards. 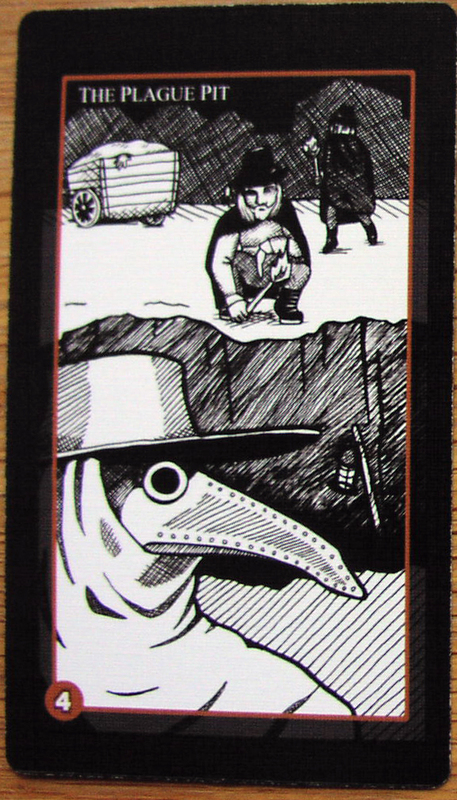 The London Lore Tarot is dark. 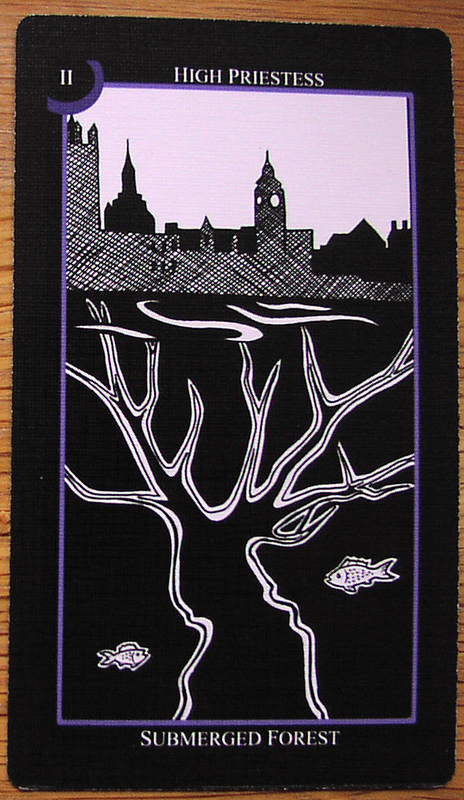 But then, a Tarot of London needs to be. London is a dark city. Its history, myths and legends are largely about hardship, plague, conflict, destruction and treachery. In the London Lore Tarot even The Lovers card is a bit twisted. It tells the story of a historic miller who caught King John in bed with his wife. The king granted him land in recompense, but only if he walked across it wearing cuckold's horns. Yet London is also about making the best of bad situations - or learning from them - and of rebuilding on the ashes of the past. You cannot love London without recognising the millennia of layers of history beneath our feet - from ancient forests to the bones of our ancestors - and also layers of symbolism in the buildings around us, old and new. The description on the back of the book that comes with the set describes London as a "tapestry". It says: "London is an ancient city, and a vibrant one. Over the past two thousand years each breath, each word, and each life of its many inhabitants have woven a fascinating and complex living history filled with lore and legend, personality and intrigue. 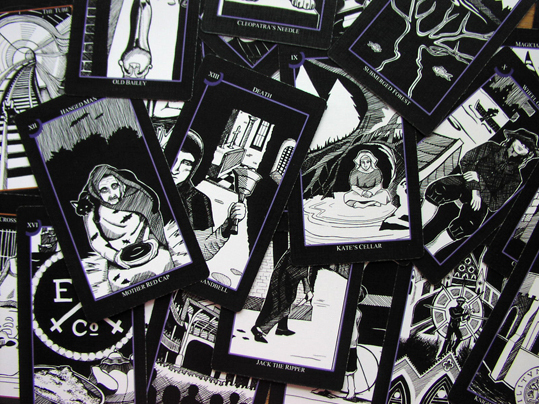 The Tarot of London Lore dips into this deep tapestry of London life and sets it against the traditional Western divinatory system of the tarot." Although the deck can be read using traditional Rider-Waite or Marseilles tarot deck interpretations, the images on the cards are completely original. 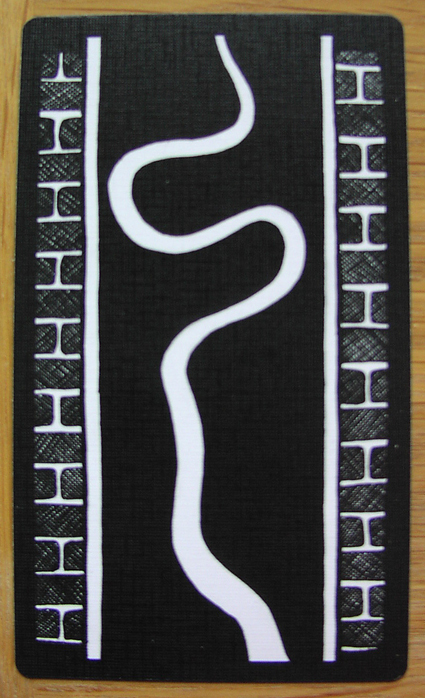 The suits are represented by coloured borders to the otherwise black-and-white artwork. These represent the elements of earth, air, fire and water. There are numbers and text in the margins, not images of swords, wands, cups and coins on the cards. This does mean that it takes time to become familiar with them - and I know I still have a way to go. But it is worth it and I am loving the journey they are taking me to explore London in a new and fascinating way.